Individual Retirement Plans & Benefits Insurance in Foster City, San Mateo, California - eCoverage Inc.
We are living longer and having the need for a stable retirement plan is becoming increasingly necessary in today's society. This longevity is putting a greater demand on having more retirement assets. At eCoverage Inc., we can help you navigate through all the information and calculators to determine your best path of action when developing or adding to an existing retirement plan or portfolio. 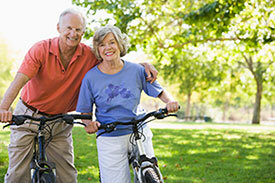 Want to retire with a steady income? Need to protect your family's future? We can teach you the pitfalls to retirement plans and how taxes, fees and risk may affect or reduce your overall retirement fund. If you're not happy about your current financial situation, maybe it's time to get an evaluation from one of the professionals at eCoverage Inc..
Our agency provides a wide range of products to help plan your financial future and build a solid retirement plan. Learn more about our different policies and products by contacting us today. We can help anyone in Foster City, California including the and California, Nevada, Utah, Oregon, Washington areas.